Language Learning Institute’s proprietary teaching method helps you learn Italian the way that your brain naturally processes language. 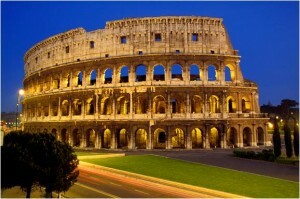 Build your Italian language skills with The Language Learning Institute! Convenient Virtual Classes in Real Time! This is a virtual class run in real time. You can take this class from anywhere – including the comfort of your own home. You will see and hear all of your classmates as well as your teacher. Travelling? No problem! You will still be able to take your class – just bring your laptop! These Italian classes will gradually expand your knowledge of the language, making it easy and fun to learn! This class is held virtually in REAL TIME. You will meet your fellow classmates as well as see and hear them during the class. Do you already speak Italian or have studied Italian through the advanced level, and want to perfect your Italian language skills? This 5-week course is for you. Do you have some basics in Italian – very little – or no Italian? Join this class for fun phrases to use while traveling and to learn about the Italian culture through language. Traveling or just want a fun 5-week course? Got kids? View our Language Classes for Children: At this time we do not offer this program. If you prefer private Italian classes or tutoring, we can build a custom program for you or your group, based on your personal aptitude and interests. Call us today! The Language Learning Institute offers you the ultimate in convenience with courses that can be taken online in real time. Our face-to-face private lessons and classes are delivered flawlessly through online learning technology. Classes generally consist of 6 people joining remotely from different locations. You will be able to hear and see the teacher as well as the other students in the class for a genuine classroom learning experience from the comfort of your own home….or place of travel. We are here to make learning Italian easy and fun. You are never too old or too young to learn a new language. Forget about those canned language programs with no personal modifications. Learn Italian with real people, and watch the language come alive. Convenient Latham NY Location CURRENTLY OUR ITALIAN CLASSES ARE BEING OFFERED VIRTUALLY ONLY. ENJOY!